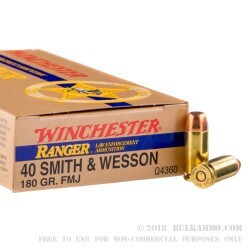 Developed specifically for law enforcement professionals, this 40 S&W cartridge by Winchester only becomes available after an occasional police trade-in -- don’t miss your chance to stock up on these beauties whenever they’re available! This cartridge sports a 180 grain projectile. 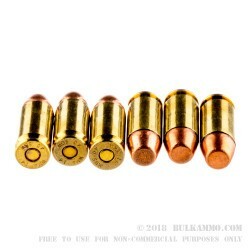 Meant to protect the men and women in blue from lead inhalation, this bullet’s jacket fully encapsulates its base so that propellant gasses won’t evaporate its lead core -- perfect for training in poorly ventilated indoor ranges. 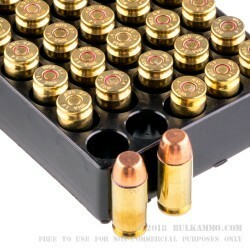 Its factory fresh brass casing’s non-corrosive Boxer primer is also free of lead, so you can breathe easy while shooting. This cartridge’s bullet’s flat nose will make keeping track of your shot placements a breeze, so you can use your finger to fire more shots instead of moving your paper target back and forth. 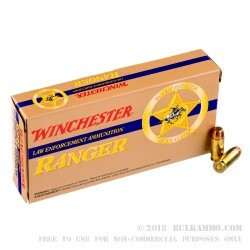 There are few better ways to practice self-defense than with what this police round has got in store for you.